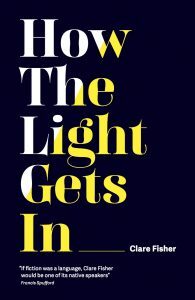 Clare Fisher’s short story collection, How The Light Gets In, is published by Influx Press in June. Clare tells us here how the collection came about. 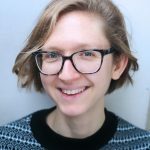 Clare and C.G Menon will be at the Northern Short Story Festival on 2 June discussing the art and craft of compiling a prizewinning short story collection with Influx Press editor Kit Caless. You can book your ticket here. Before my story collection was a story collection, after it was a gaggle of almost-ideas at the back of my mind — wherever it is stories live before they are stories — it was a performance. Having won a bursary to make a live art installation at Leeds Light Night way back in 2014, I had no choice but to do what I’d said I’d do in my application, i.e. write a series of very short monologues on the theme of light, dark and how we find our way from one to the other. I’m not gonna lie: it was hard. Writing is always hard. Writing when you’re slowly emerging from a period of depression is hard. But I did it, and thanks to the talents and insights of some brilliant actors, I was able to make an engaging performance. But I didn’t stop writing at Light Night. There was more I wanted to say, lots more. I was reading Lydia Davis and beginning to push the limits of short. So I wrote. And I wrote. And I kept writing, never quite knowing where I was going, only that any story must link, however tangentially, to the theme of light and dark. Eventually I got to a point when something inside said: enough. A few months went by before I admitted it to myself: I had something of a collection. It was a strange collection; spiky and playful and fragmented. I didn’t have an agent at that time and knew enough not to bother one with it. Instead, I contacted a few small presses who championed the short and the strange. Influx Press replied enthusiastically. I met the editor, Kit Caless, and knew within minutes that this was the start of something good. I wasn’t wrong; the months of editing that followed spurred me to rethink my existing stories and write some new and more adventurous ones. A lot has happened since then; I wrote my novel, All the Good Things, which was published by Viking, Penguin last year; Kit published Eley Williams’ prizewinning collection, Attrib. I’m really looking forward to discussing these strange, unlikely and overlapping journeys with Kit and prizewinning short story writer, CG Menon, at The Northern Short Story Festival on 2 June. You can book your tickets here. I’ll also be launching the collection in Leeds on Thursday 21 June at the Hyde Park Book Club. 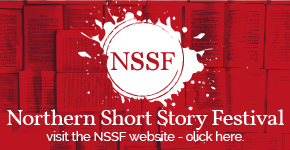 Next story The Northern Short Story Festival 2018 Is Nearly Here! Read All About It.